Google Street View has mapped out remote islands and the mouths of active volcanoes, but its latest project could actually help save the world from climate change. A group of researchers from the Environmental Defense Fund and Colorado State University have been using Street View vehicles across America to track methane levels in major cities, monitoring the spread of harmful greenhouse gas emissions, according to new research published in Environmental Science and Technology on Wednesday. To humans, methane is virtually invisible; we can’t see it, smell it, or hear it. That means it can leak out of natural gas pipelines for years on end without a trace, which is why it is the second most prevalent greenhouse gas emitted in the U.S. The researchers equipped four Street View cars with high-tech methane analyzers, which can visualize methane leaks in real-time using an infrared spectrometer. According to Fischer, it works via a small tube that captures particles in the atmosphere. The device shoots a laser light through the tube, and measures how much of it is obstructed by the methane inside, giving researchers a reasonable idea of how much methane is in the surrounding area. 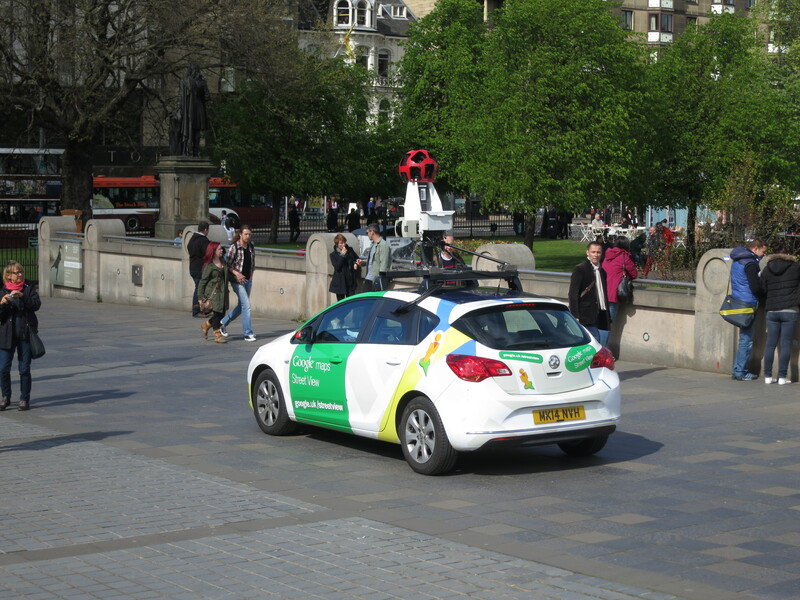 A Google Street View car equipped with an infrared methane analyzer. Once the cars were set up, they were sent on a journey across the country to make a methane map of leaks from pipelines that run under the city streets. They visited Boston; Burlington, Vermont; Chicago; Dallas; Indianapolis; Jacksonville; Los Angeles; Mesa, Arizona; Pittsburgh; Staten Island, New York; and Syracuse, New York. The cars collected about 2,000 data points per minute as they were zipping through the streets, so the researchers had to store the data in a cloud-based platform. Once it was compiled, they found some striking results. In cities where a pipeline replacement program wasn’t put in place — Boston, Syracuse, and Staten Island — there were literally hundreds of thousands of leaks. Whereas Burlington and Indianapolis, cities which have replaced their pipelines recently, saw less than a dozen leaks each. A methane map of Boston shows hundred of pipeline leaks. This map, and future maps, will help cities allocate their resources to better manage leaks and ultimately help reduce greenhouse gases. Fischer hopes to learn more from utility companies about how they can make the data more effective. In the meantime, Google has set more cars in motion to map other parts of the U.S in infrared.